Gerald Torres is a Visiting Professor of Law at Yale Law School, as well as the Jane M.G. Foster Professor of Law at Cornell Law School. 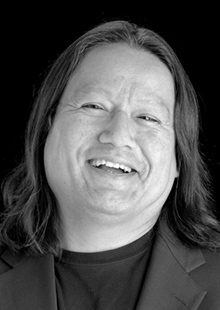 He is an authority on critical race theory, environmental law, and federal Indian Law. Gerald Torres is a Visiting Professor of Law at Yale Law School, as well as the Jane M.G. Foster Professor of Law at Cornell Law School. He is an authority on critical race theory, environmental law, and federal Indian Law, and has previously served as the Bryant Smith Chair in Law at the University of Texas School of Law, as well as Associate Dean at the University of Minnesota Law School. He is the former president of the Association of American Law Schools, has served as deputy assistant attorney general for the Environment and Natural Resources Division of the U.S. Department of Justice, and as counsel to the then-U.S. attorney general Janet Reno. He has previously taught at Harvard, Stanford, and Yale law schools.